There are few women who epitomize the emergence of the new American Culture as much as Lauren Artress. Over the past 20 years, Lauren has been a spiritual pioneer and a leading force in popularizing the Labyrinth in the US and around the world, helping hundreds of thousands of people to experience this ancient spiritual practice. She is a featured presenter in the leading centers for consciousness expansion such as the Omega Institute, Institute of Noetic Sciences, and Chautauqua Institute. Lauren is a key catalyst of our emerging awareness of the mind-body connection, the impact of our thoughts on our lives and the importance of living with compassion. Lauren Artress is a Canon of Grace Cathedral in San Francisco and author of three books on the labyrinth. Her first book, Walking a Sacred Path: Rediscovering the Labyrinth as a Spiritual Practice, was instrumental in launching what is now known as The Labyrinth Movement. 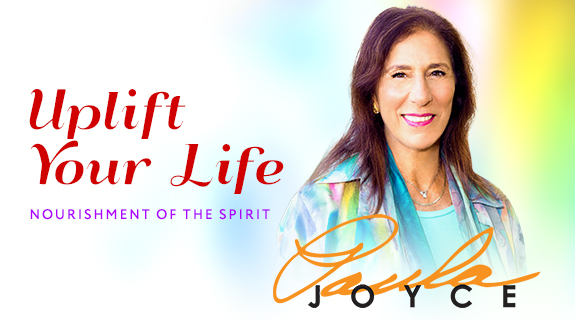 Her work includes speaking on the contemporary spiritual issues we are confronted with in our daily lives. Laurance S. Rockefeller recognized her visionary work and funded her creation of Quest: Grace Cathedral Center for Spiritual Wholeness in 1987. It was out of the spiritual programming she did through Quest that she taught herself large group spiritual work. This work eventually led her to the labyrinth. Lauren founded a non-profit named Veriditas, the World-Wide Labyrinth Project in 1996 to “pepper the planet with labyrinths”. Her organization works in partnership with the Institute of Noetic Sciences and her office is located on the Earthrise Retreat Center in Petaluma, California. Lauren is an Episcopal priest, spiritual director and licensed Marriage and Family Therapist in the State of California. She offers Spiritual Direction, Soul Coaching and brief psychotherapy in her home office in San Francisco or by phone and Skype. She offers couples’ therapy to those in the Bay Area. Lauren received her Bachelors Degree in Special Education at Ohio State University, her Master’s Degree in Education at Princeton Theological Seminary and her Doctor of Ministry Degree in Pastoral Psychotherapy at Andover Newton School of Theology. She trained in psychodynamic psychotherapy at the Blanton-Peale Graduate Institute at the Institute of Religion and Health in New York City and held a private practice there from 1974 to 1986. She holds an honorary doctorate from The California Institute of Integral Studies and the Gandhi, King, and Ikeda Peace Award for her work in bringing people together in creative, peace-giving ways. She is on the Editorial Board of Presence Magazine, a publication of Spiritual Director’s International.